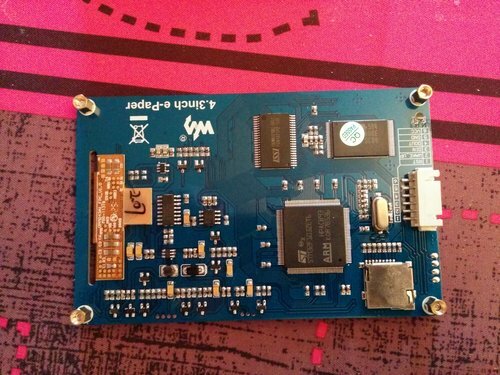 Waveshare 4.3inch E-Paper and Arduino - .[ZooBaB]. 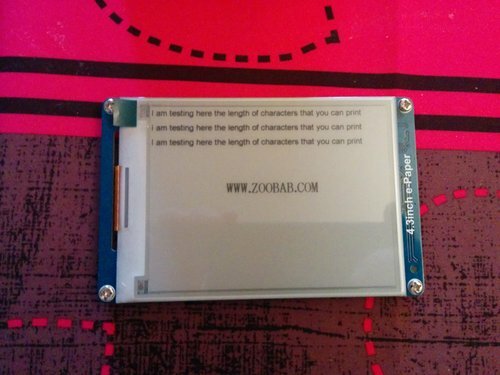 The Waveshare E-paper is a low power e-ink screen. 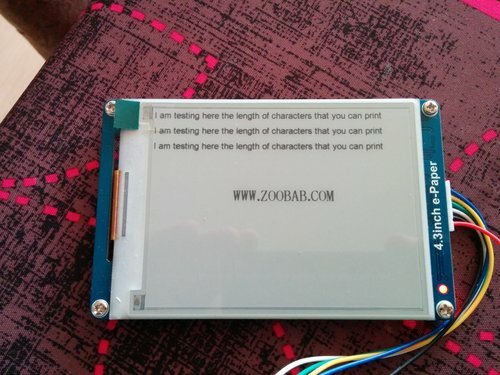 Those e-ink are kind of magic since they can display text without consuming any energy! 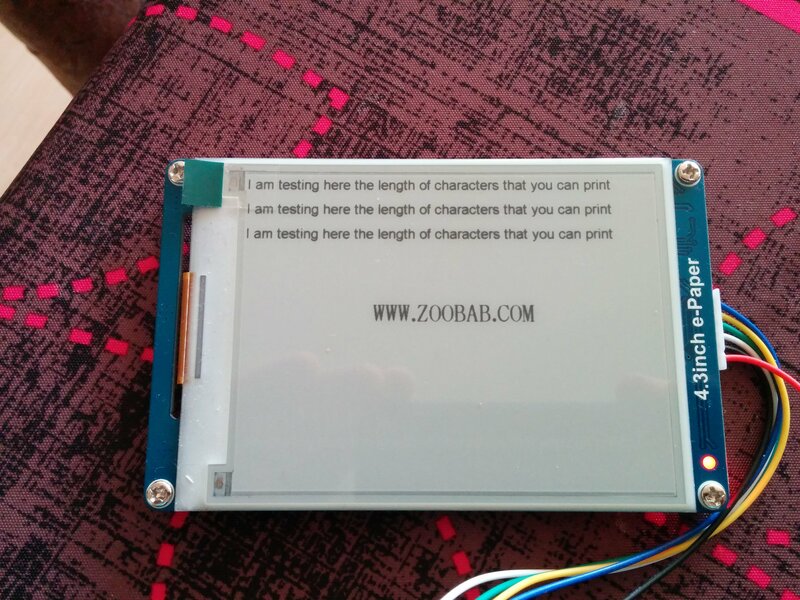 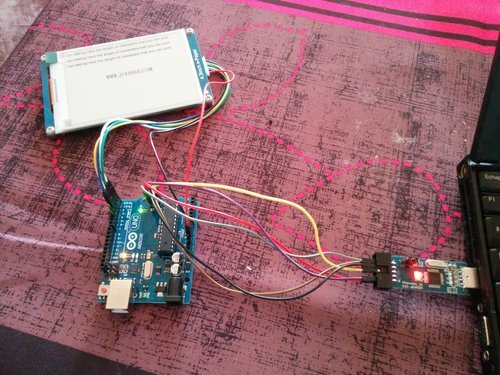 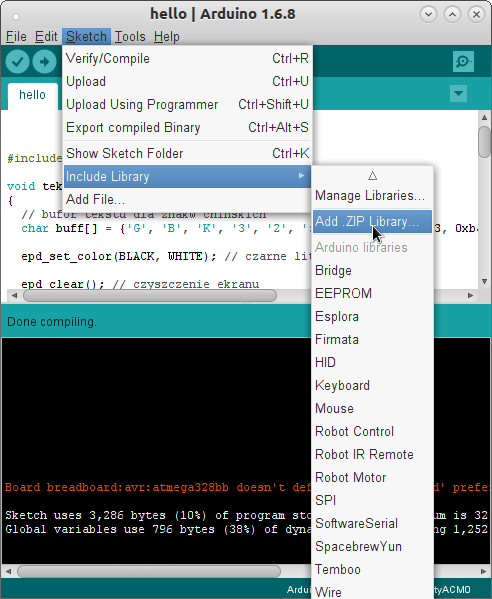 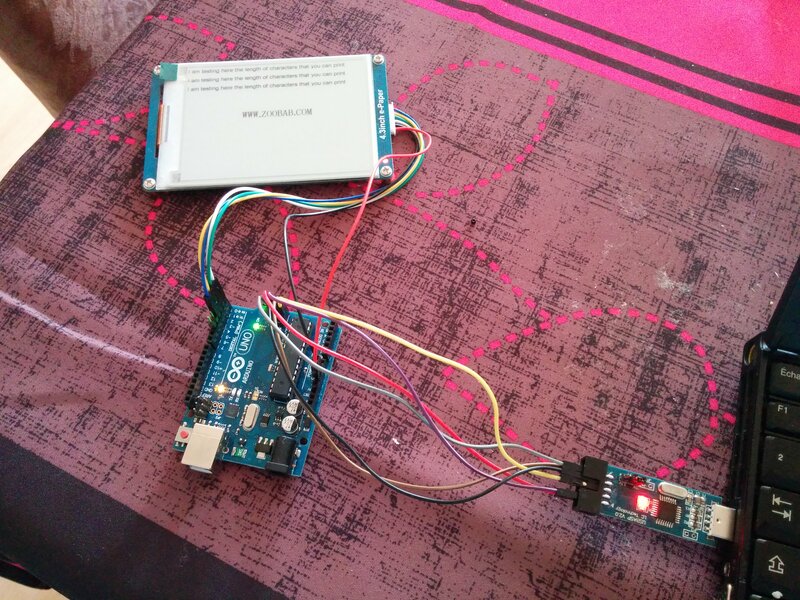 You can drive the screen with an external Arduino, as described by Jarzebski.pl here. 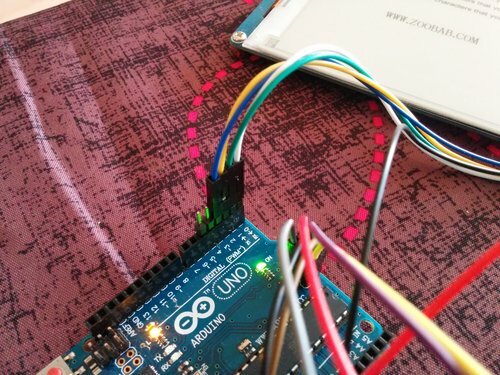 The screen needs 4 typical pins (5V, GND, TX, RX) of the Arduino, plus 2 digital pins (2 and 3 on the Arduino), which means you would need to occupy 2 GPIOs for an eventual RaspberryPi/Openwrt port.